Here’s what’s happening in the world of television for Thursday, May 31. All times are Eastern. 2018 NBA Finals: Game 1 (ABC, 9 p.m.): For a brief moment this past weekend, it looked as if the world might not witness a fourth round for the NBA’s most recent championship rivalry. 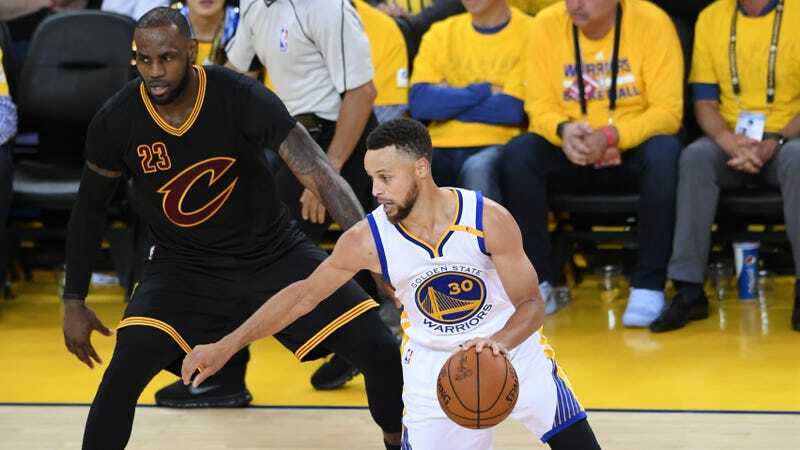 But then LeBron James and Steph Curry nearly put up triple doubles in their respective game sevens, the mere presence of Ted Cruz put a hex on the Houston Rockets, and voíla: Cleveland and Golden State, part four. The tip-off follows ABC’s standard pre-finals rigamarole, including a Kevin Hart appearance on Jimmy Kimmel Live: Game Night at 8. My Next Guest Needs No Introduction With David Letterman (Netflix): The first season of Letterman’s post-retirement gig wraps up with the host and Howard Stern discussing a complex relationship that’s overcome its fair share of conflicts and on-air insults.